The new T4e from Froling meets all your needs. This boiler can efficiently burn both wood chips and pellets due to its intelligent fully-automatic system. With the silicon carbide combustion chamber, the T4e ensures a high level of efficiency (up to 93.7%) with very low emissions. Well-planned use of energy-saving drives ensures extremely low energy consumption. 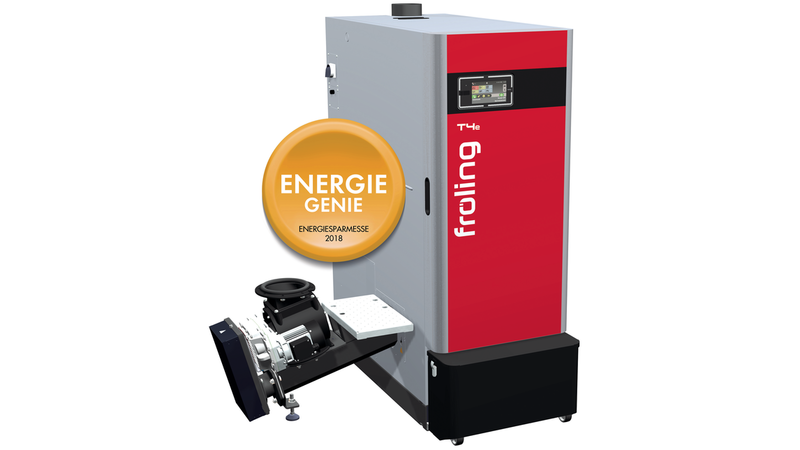 Thanks to its modular construction and compact dimensions, the Froling T4e is particularly easy to position and install. The entire boiler is fully assembled, electrically wired and tested in the delivery configuration. Particular attention was paid to energy efficiency, durability and stability during the development of the T4e. The T4e consumes very little electricity during operation, keeping the operating costs down.